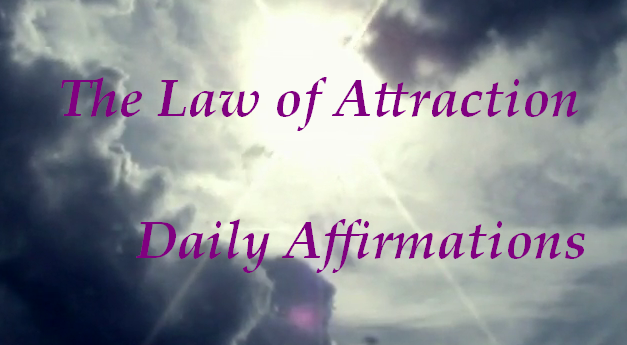 The most basic definition of the Law of Attraction this law is "like attracts like." But the Law of Attraction actually states that energy attracts to itself other energy that is of a similar vibrational resonance, not just a simple "like attracts like" definition, but Energy attracts like energy. The Universal law of attraction (LOA) is the most powerful force in the universe. All forms of matter are energy and have a vibrational pattern. Your thoughts also have a vibrational pattern; thoughts are also energy and emotions are energy in motion. All energy is attracted to that which is of a like vibration. You are a living magnet. You get what you think about, whether wanted or unwanted. (there is always a time delay!). You will get or experience whatever it is that you put your energy and focus on--especially if you do it consistantly and with a lot of passion or emotion, whether positive or negative. Everything draws to itself that which is like itself. This Law is always at work in your life. It is there responding to and reflecting your thoughts and emotional vibrations whether conscious or subconscious; it does so without judgment, but always in perfect match to them vibrationally. It's a law of energy. It's your feelings more than your thoughts that sets your vibrational pattern, and sets in motion everything in your body and all of your experiences. When you become aware of this you begin to take responsibility for your inner self, your thoughts and emotions, and you'll be able to use the law of attraction consciously to create more of what you desire to experience. Persistent practice and patience is the key. Israel Regardie published many books with the theme of Law of Attraction as one of the prevailing Universal Laws. His book The Art of True Healing written in 1937 is fully titled "The Art of True Healing, A Treatise on the Mechanism of Prayer and the Operation of the Law of Attraction in Nature". The book teaches a focused meditation technique to help the mind to learn to heal itself on both a physical and spiritual level. Regardie goes on to explain that The Law of Attraction is not only a valid method for attracting good physical health but is applicable in the pursuit of any aspect of life you would like to see changed. Napoleon Hill published two books on this theme. The first was The Law of Success in 16 Lessons (1928) which directly and repeatedly referenced the law of attraction and proposed that it operates by use of radio waves transmitted by the brain. Then in 1937, he published Think and Grow Rich which went on to become one of the best selling books of all time, selling over 60 million copies. In this book, Hill discusses the importance of controlling one's own thoughts in order to achieve success, as well as the energy that thoughts have and their ability to attract other thoughts. In the beginning of the book, Hill mentions a "secret" to success, and promises to indirectly describe it at least once in every chapter of the book. It is never named directly for he says that discovering it on one's own is far more beneficial. 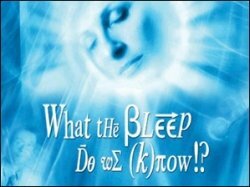 Many people have argued over what the secret actually is, with some arguing that it was the law of attraction. Hill states the "secret" to which he refers is mentioned no fewer than a hundred times, yet reference to "attract" is used less than 30 times in the text. Most students of the book claim the secret is hidden in its title: THINK (i.e., thoughts). After this, the book, Three Magic Words (1954), by American author, U.S. Anderson became an forerunner to present phase of information on the subconscious mind and the law of attraction. The Secret (2006) was a film based on the law of attraction. It was then developed into a book of the same title in 2007. The movie and book gained widespread attention in the media also from Saturday Night Live to The Oprah Winfrey Show in the United States. The success of the film and various books led to increased media coverage.